Alright, it’s just wishful thinking that raspberries are in season here in Michigan. 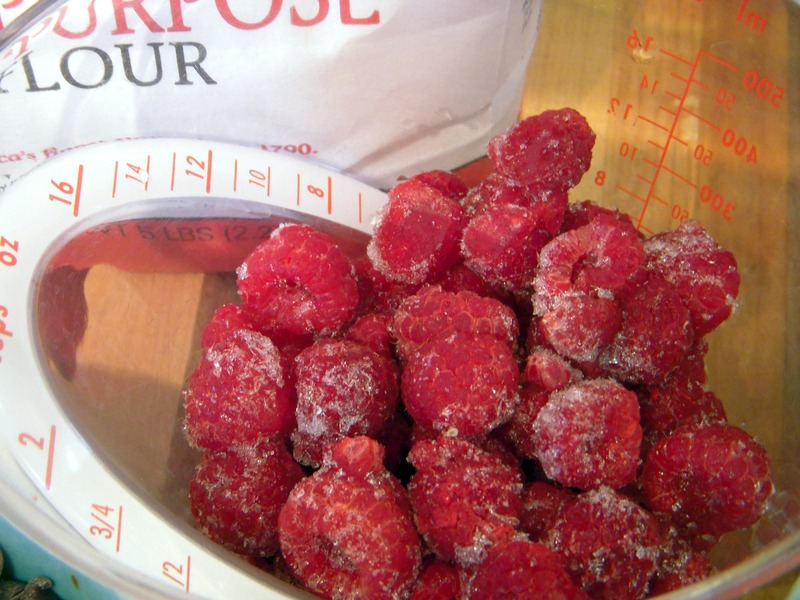 Even though they aren’t really in season at the moment, by freezing summer treats like raspberries, you can enjoy them year round! 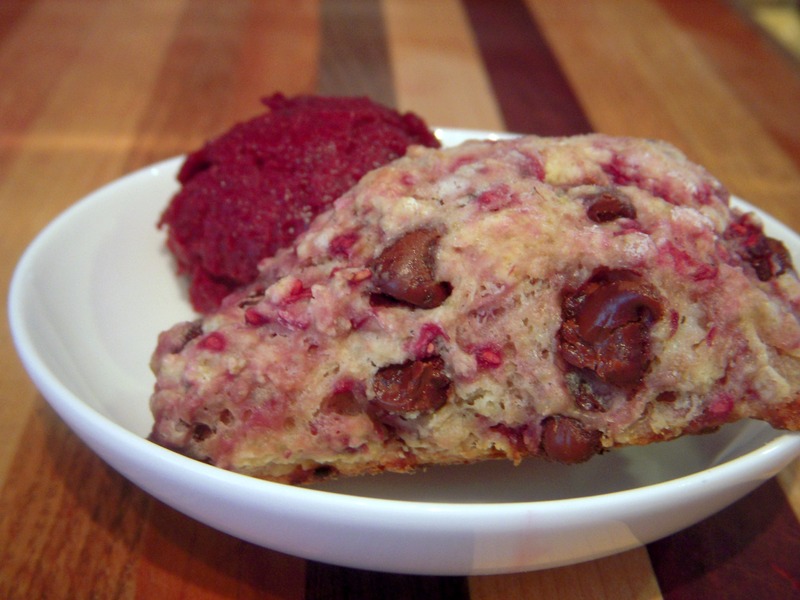 I’m kind of on a scone kick lately, and this raspberry and chocolate tea scone recipe caught my eye. Besides, anything that adds chocolate into a breakfast food sounds good to me. The dough came together really easily, just remember to work quickly when you incorporate the frozen raspberries and liquids. If you over-stir you’ll end up with completely pink scones. I ended up not waiting for breakfast, and enjoyed a warm scone straight out of the oven with a little scoop of Jeni’s black currant sorbet (an Ohio treat worth searching out!). The flavor combination was really tasty, but honestly I was a little disappointed in the texture of the scone. Hey, not every kitchen experiment can be a complete success, right? I’m planning on trying these again with the dry/wet ratio from my last scone adventure, and then adding the raspberries and chocolate in (maybe white chocolate next time!). 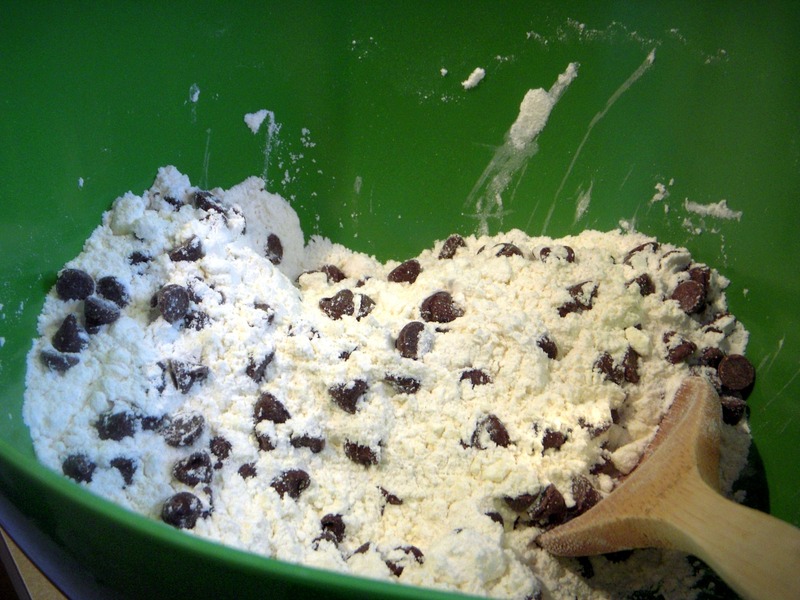 What are you favorite ways to use frozen bounty from the summer? This entry was posted in In the Kitchen (recipes & more) and tagged baking, chocolate, frozen fruit, lindsay jean hard, locally sourced, raspberries, Real Time Farms, scones. Bookmark the permalink. Yum!! If you didn’t freeze enough local raspberries yourself this past harvest, Locavorious still has some available, grown on Gibbs Berries farm! Stop by the Ann Arbor Farmers Market on March 19th to pick some up! or look for Locavorious frozen berries at the People’s Food Co-op.